In celebration of the 2014 Ryder Cup, from September 26-28, hundreds of thousands of golf fans from across the world will be greeted by the three-metre high touring models of Scotland’s celebrated public art sculptures, The Kelpies. 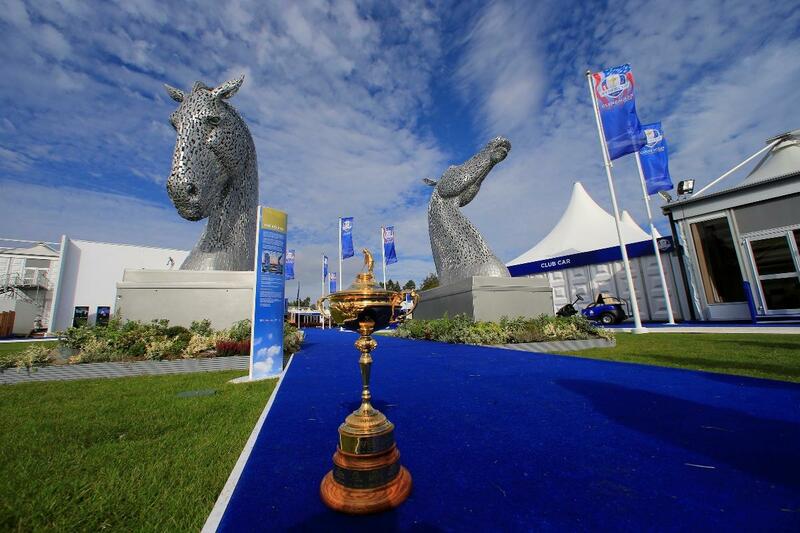 VisitScotland has placed The Kelpies Maquettes at the heart of the Gleneagles tented village, which is the main public zone for the 250,000 spectators expected to attend The 2014 Ryder Cup over the course of the week. As one of the most inspiring and awesome sculptures to be built in Europe, The Kelpies Maquettes have been touring the world acting as cultural ambassadors for Scotland and promoting the Falkirk area as one of Scotland’s major tourist destinations. 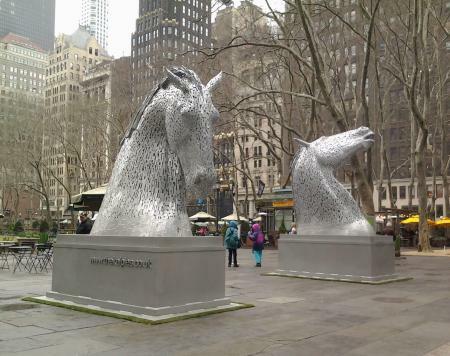 In 2012, they appeared at Medinah during the tournament, and earlier this year, the Maquettes were sited in Bryant Park, New York, as a focal point for Scotland Week. 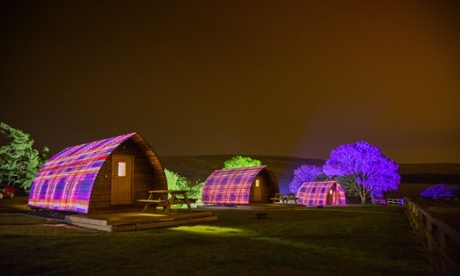 This entry was posted in News, Travel in Scotland and tagged Falkirk, Gleneagles, Kelpies, Kelpies Maquettes, Ryder Cup on September 24, 2014 by Camilla Hellman. Two years ago, the Augusta National Golf Club, home of the Masters Golf Tournament, decided to invite women to join as members, and on September 18, 2014, The Royal and Ancient Golf Club at St. Andrews followed suit when 85% of its members voted to include women for the first time in the club’s 260 year history. The vote was effective immediately, and the club now waits to see who will become its first female member. 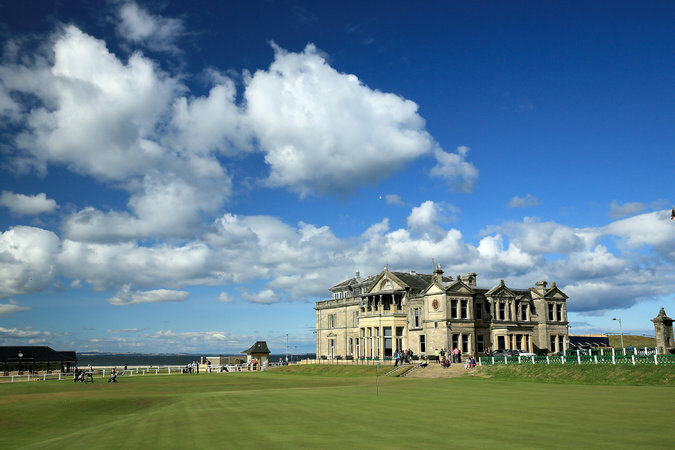 Possible candidates include Catriona Matthew, an Edinburgh native and winner of the 2009 Women’s British open, Carol Semple Thompson, an American member of the World Golf Hall of Fame, Annika Sorenstam, a 10-time major championship winner from Sweden, and Louise Richardson, the president of St. Andrews University. 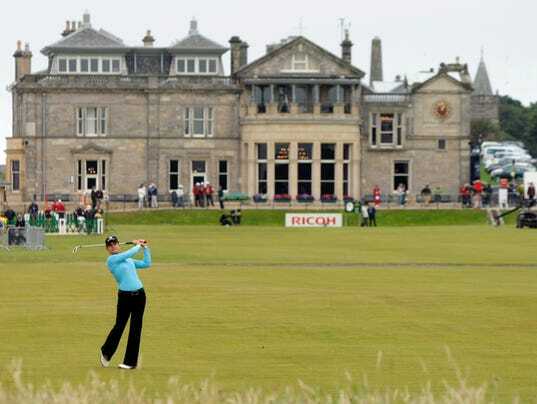 This entry was posted in News, Travel in Scotland and tagged Annika Sorenstam, Carol Semple Thompson, Catriona Matthew, gender equality, Louise Richardson, Peter Dawson, St. Andrews, St. Andrews Golf Club on September 23, 2014 by Camilla Hellman. 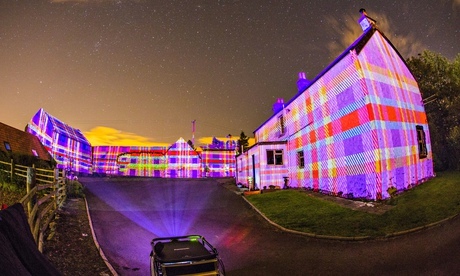 Prior to the vote on the referendum on September 18, a group of artists and photographers used digital technology to cover a number of buildings near Edinburgh in tartan-patterned light. The artists, Ross Blair, Brian Mcfeely and Craig Robertson worked with filmmaker Mike Guest and musician Jenifer Austin to form the art collective Projector Club. They were commissioned by event company mclcreate and spent months bringing the project together. The project, dubbed “a celebration of Scotland’s past and its future,” was not intended to promote a “yes” or “no” verdict, but simply to celebrate Scotland at the historic moment through its signature pattern. This entry was posted in ASF Events, News and tagged Brian Mcfeely, Craig Robertson, Jenifer Austin, Mike Guest, Projector Club, Ross Blair, Scottish artists, Scottish Referendum, tartan on September 23, 2014 by Camilla Hellman. The Scotch Malt Whisky Society of America is hosting a single malt scotch tasting at Cafe Tallulah on Thursday, October 16, 2014. The 17th annual WhiskyFest will be held on Wednesday, October 29, 2014 at the New York Marriot Marquis from 6:30-9:30 pm. Guests will be invited to taste from a selection of more than 300 whiskies from around the world, attend free seminars conducted by whisky experts, and enjoy a gourmet buffet. This entry was posted in ASF Events and tagged events, scotch, Scotch Malt Whiskey Society, WhiskeyFest, whisky on September 23, 2014 by Camilla Hellman. Scotland’s Victoria & Albert museum, scheduled to open its doors in 2017, has released a photo gallery previewing one of its much anticipated collections, which will celebrate Scottish design heritage and help develop contemporary talent. The museum will be part of a large waterfront development on the Tay River in Dundee, recently voted as the ‘best place in Scotland.’ It will be home to some of the world’s finest designs from fashion to cars, showcasing everything from David Bowie’s stage costumes to the everyday sight of people’s living rooms. Other exhibits include a silver jewellery box created by Irish designer Anna Traquair in 1905 and a silk tartan dress made in France in the 1850s. This entry was posted in ASF Events, Travel in Scotland and tagged Dundee, Phil Long, Scottish art, Scottish design, Tay River, V&A Dundee, V&A Museum on September 23, 2014 by Camilla Hellman. 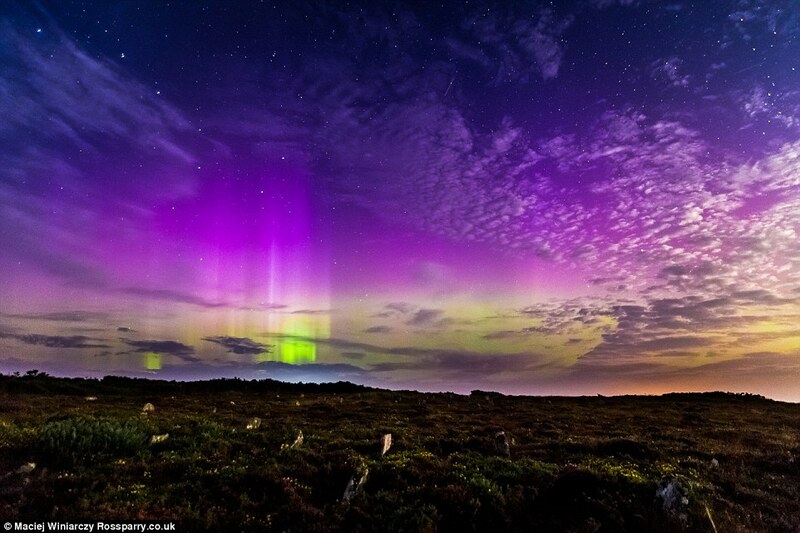 Parts of the UK were witness to astounding views of the Northern Lights on Friday night, September 12. 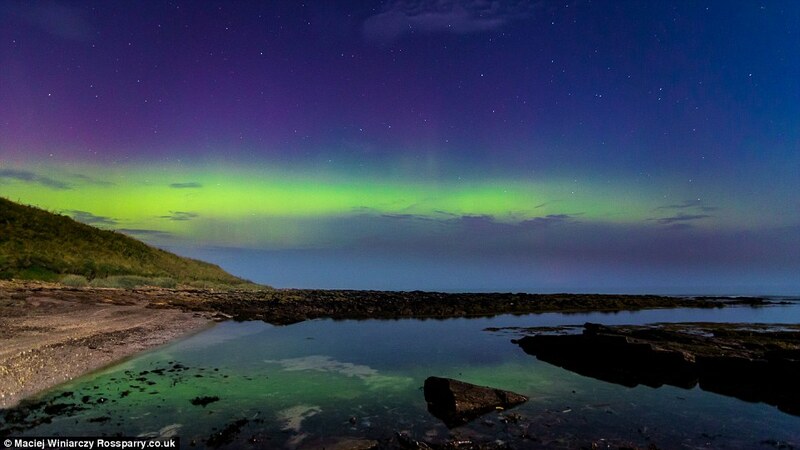 Due to large solar flares bouncing off the Earth’s atmosphere, views of the Aurora Borealis were impressively clear, and photographers captured images of the Lights off the coast of County Antrim, Ballyholme in County Down, and Caithness, north of Scotland. 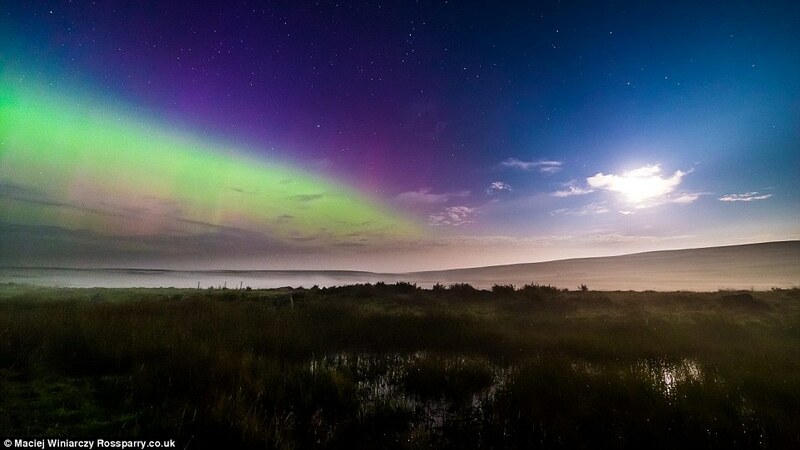 This entry was posted in News, Travel in Scotland on September 23, 2014 by Camilla Hellman. Are you as excited for the New Hampshire Highland Games as we are? Want to find out when your favorite band is playing, or when the caber is being tossed? Download the complete games schedule here! Among the largest and one of the most diversified games in the country, the NH Highland Games & Festival (NHHG&F) includes the Gathering of the Scottish Clans, with over 60 clans and societies; Massed Bands; Sheepdog Trials; Celtic World Music Concerts; the New England Regional Scottish Fiddle Championship; International Scottish Athletics; New England Highland Dance Championships; New England Solo Piping Drumming Championships; Scottish Harp (Clarsach) other instrumental competitions. For three days of music, food, competitions and more, visit the 39th New Hampshire Highland Games & Festival! This entry was posted in ASF Events on September 9, 2014 by Camilla Hellman. The coming weeks will see Highland Games celebrations throughout the United States. ASF looking forward to attending many. We look forward to hearing and seeing news of all going on. Fiona Kennedy, one of the Scottish American community’s leading ladies, is reporting regularly for Scotland Now. This week is of particular relevance since we just returned from the Isle of Skye a few weeks ago and that is where Fiona transports us to. ‘The Skyline of Skye’ tells the story of an emigrant missing his true love and also longing to see his home and that skyline again. Listen to Fiona Kennedy, daughter of the late King of the Highlands, Calum Kennedy, perform ‘The Skyline of Skye’ as she reveals how visiting different places across the globe fires her up in her latest column for Scotland Now. This entry was posted in News on September 9, 2014 by Camilla Hellman. The GSA has one of the UK’s largest postgraduate communities in the visual creative arts and architecture. It has grown considerably in recent years reflecting the GSA’s international standing and research excellence, and now comprises nearly 300 Doctoral and Master’s students. The GSA’s Graduate Degree Show offers a public showcase for the full range of graduate work undertaken at the institution. The 2014 Graduate Degree Show will feature work by graduating students across a wide variety of disciplines across architecture, design, fine art and digital. 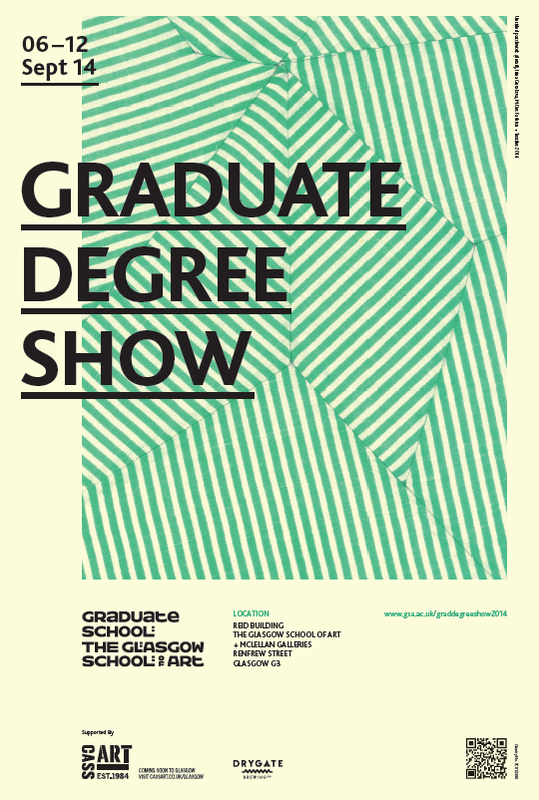 To learn more about the event and the Glasgow School of Art, visit their website at http://www.gsa.ac.uk/m/graduate-degree-show-2014/. This entry was posted in ASF Events, Travel in Scotland and tagged Glasgow on September 9, 2014 by Camilla Hellman.